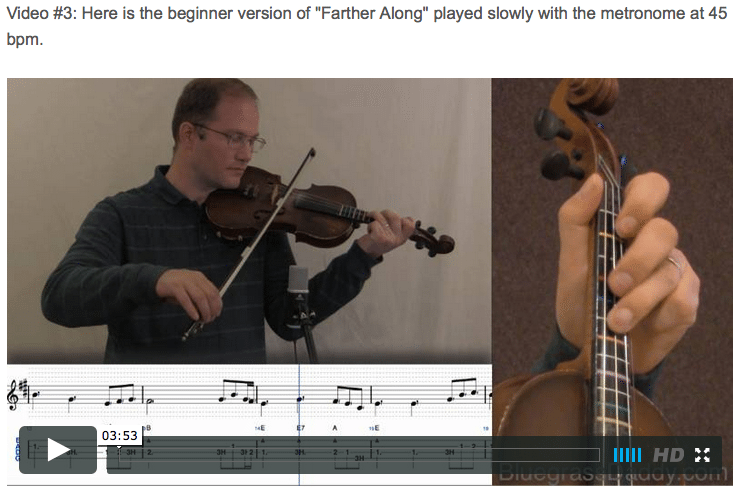 This is an online fiddle lesson for the gospel song "Farther Along." 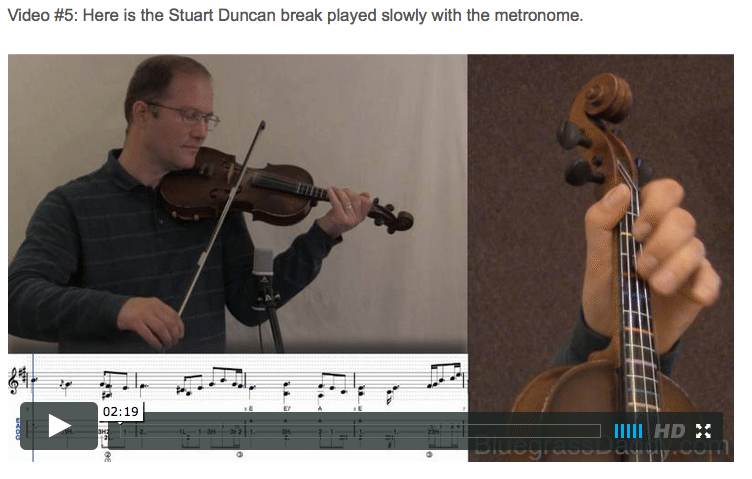 Video #1: Here is a video of me playing the gospel song "Farther Along." " http://powellrivermortgagebroker.com/?p=12 http://rogersmusicpromotions.com/activity/p/1392/ Farther Along" is a Southern Gospel song published by the Stamps-Baxter Music Company. The lyrics to the song were written in 1911 by Rev. W. A. Fletcher, an itinerant preacher, while he was traveling to the Indian Territories by train. Fletcher was feeling depressed because his wife, Catherine Louise Emmett Fletcher of Cleburne, Texas, was expecting their first-born child in a few weeks and he wouldn't be present for the occasion. He felt that his priorities were with his ministry in the Indian Territories and wrote the lyrics to reflect his frame of mind at the time. Sitting next to him on the train was J. R. Baxter, a gospel music promoter who was quite taken with the lyrics that Fletcher was writing and offered him $2.00 for them. Mr. Baxter subsequently had them put to music and the song has been quite popular in the gospel music arena ever since. This topic contains 9 replies, has 6 voices, and was last updated by John Cockman 2 years ago. A lesson for a great old hymn. 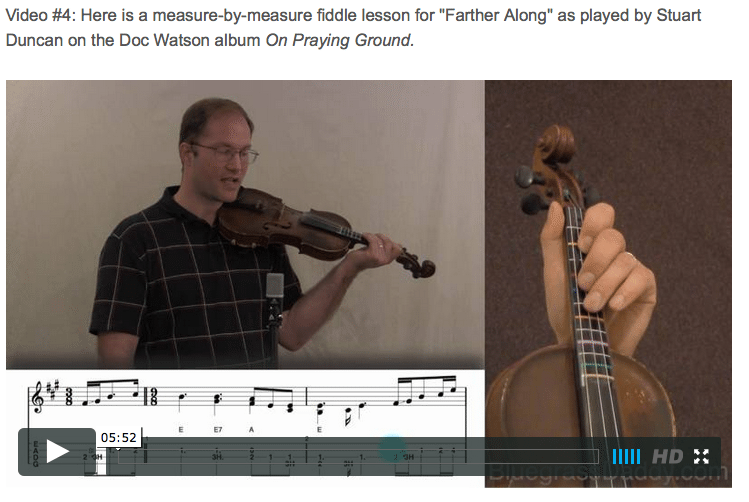 This lesson has a beginner version and also an intermediate break as played by Stuart Duncan on Doc Watson’s On Praying Ground CD. Thanks Dan. 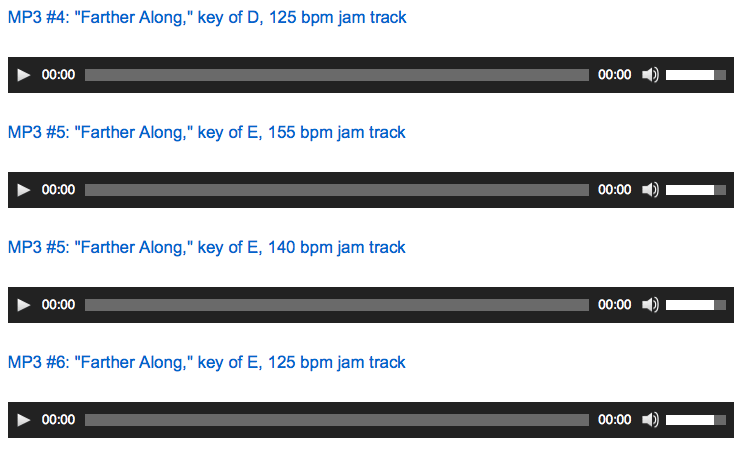 My Skype student requests hymns, so I am building a good repertoire. I’ll be uploading the lessons here as time allows! Kaeleigh, there are so many good old songs. This happens to be one I grew up with. My older sister used to sing “Cheer up my brother” tease me when I was having a bad day. 🙂 I love the Doc Watson version of this song. It’s a beautiful song! 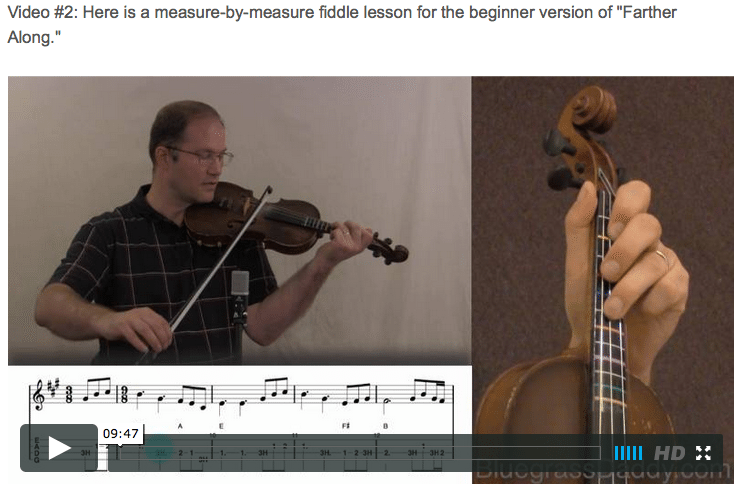 It’s always a nice surprise to see what shows up as a new lesson! How nice it is to find such nice music in E :O) Big smiles . Hi Gu, for some reason the time signature was A even though the song was in E. I changed it, and it corrected some of the flats and sharps in the sheet music. 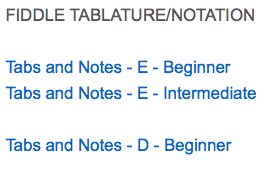 However, I don’t think the tabs changed any. 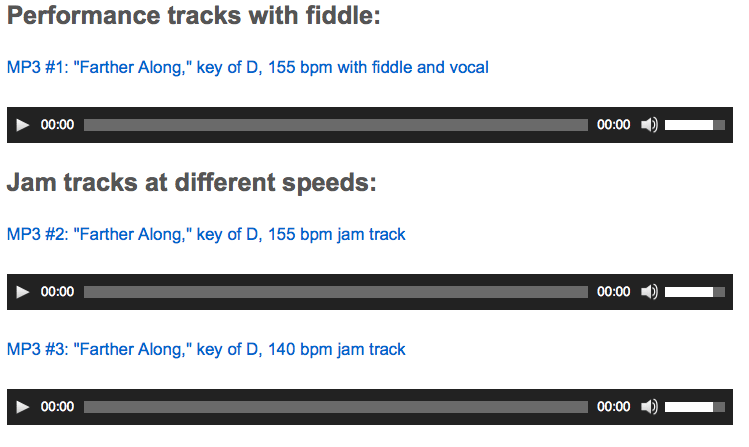 For some reason, the “Callin’ Baton Rouge’ tracks were fine on the lesson page, but were throwing an error on the ‘Jam Track’ page. That should be fixed now. Thanks for bringing it to my attention! 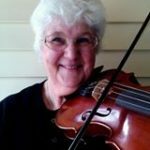 That evocative, haunting sound on the fiddle is so well suited to this mournful old hymn. Thank you! This is a mournful hymn; it speaks right to a hurting soul. I’ve found myself singing this one a lot in the past week.